During the evening of Sunday 19th May, 1918 a collision occurred between a rowing boat and naval launch in Weymouth harbour. Private Henry Mills of the 3rd Battalion, Dorset Regiment, one of four men in the rowing boat was drowned. The Coroner for South Dorset Mr. G.P. Symes opened the inquest concerning the incident which led to the death of Henry Mills on Monday, 3rd June. Among those present was the Admiralty Law Agent, Mr. W. Wilkinson. Mr. L.C. Frowde was appointed foreman of the jury. Before the proceeding the Coroner expressed his sympathy to the deceased's widow and grandmother who attended the hearing. Mr Wilkinson on behalf of the Admiralty and Rear-Admiral at Portland extended similar expressions of condolence. Continuing he said that it was regrettable that a man who had recently joined the army should lose his life in such circumstances. He further added the rules of a navigable river or sea were just the same as the rules of the highway. If there was negligence on the part of anyone the jury would have to consider the evidence very carefully as it might result in a charge of manslaughter. The jury would have to take into consideration whether the rules of the sea had not been correctly observed or not keeping a proper lookout or travelling too fast at the time or not having sufficient command over the rowing boat or launch so that either were, not able to stop or get out of the way. 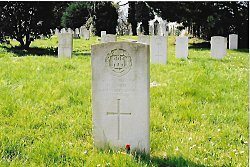 The first witness who gave evidence was Private Albert Clarke of the 3rd Battalion, Dorset Regiment who identified Private Henry Mills having known him for some months. Clarke was in the rowing boat with Private Fayter of the same regiment, the deceased and the boatman Mr Wallis. The latter was steering the boat and Clarke, Fayter and Mills were rowing. The boat was approximately 50 yards from the entrance and inside the harbour when they saw a launch moving at speed come round the end of the stone pier. Although a man was standing in the bow the launch seemed to be heading directly towards them. Mr. Wallis shouted to the soldiers to row as hard as they could and turned the boat towards the inside of the stone pier. Clarke was in the bow with one oar, Fayter was sculling and Mills was the stroke. Their rowing was in vain as the launch struck the rowing boat amidships on the starboard side and they were all thrown into the water. Clarke did not see Mills again. Private Clarke was asked by a juryman if he thought they were in danger or going to collide. Replying he said "I heard a man on the launch on coming around the pier shout 'look-out you are running into a small boat'." He estimated that only about ten seconds elapsed before the collision occurred. The bowman on the launch threw a lifebuoy into the water to which Clarke and Fayter clung, as neither was able to swim. Private Fayter was not present at the inquest having been sent to Ireland. Mr Wallis a licensed local boatman stated that the boat was 15-feet long. Three men were rowing and he was steering. The soldiers rowing skills he considered were pretty good although they had difficulty in pulling together. He was giving them instructions when he heard the sound of a hooter and then shouted "look-out a launch is coming straight towards us". For a second or two he thought the soldiers seemed paralysed and stopped rowing. Wallis urged them to row for all they were worth as the launch continued on towards them. Mr Wallis let go of the tiller and grabbed the after oar to try to bring the boat away from the pier. Unfortunately it was too late and the launch ploughed into the rowing boat cutting it in half. The Coroner asked Mr Wallis how fast he thought the launch was travelling. He replied probably 10-knots adding that the launch was 20-30 yards from them at that time. After the collision he dived into the water and surfaced on the other side of the launch. As further questions were put to Mr Wallis he became overcome with emotion and had to withdraw for a few minutes. Returning, he continued that he saw the deceased in the water who was about 10 yards from him crying out for help. Wallis grabbed a lifebuoy and saw three young boys in a dinghy approaching him. The launch had rescued Clarke and Fayter and resumed its passage up the harbour leaving Wallis in the water. When the dinghy was close enough to Wallis he held on to one of the oars and with the help of the boys scrambled into the dinghy. Questioned by the Coroner as to why the launch came towards them, Wallis replied that the launch was travelling too fast and the rowing boat could not get out of its way. He was of the opinion that the launch could have avoided them by turning to port or starboard. When entering the harbour boats should keep to the right and the launch was not steering a proper course. Mr Percy Boyle a juryman stated that in narrow and confined waters you must keep to that side of the fairway or channel which is on your starboard side. Mr Wallis added that if someone from the launch had jumped into the water Private Mills might have been saved. Lieutenant Eric Ollard, R.N.V.R., stated that he had three years naval experience and six years with small boats. He had arrived at Portland in July 1916. On the Sunday evening in question he was returning to Weymouth from Portland and in charge of the launch. With him were three crewmen, one as a starboard lookout, one in the engine room and one man was below deck. Lieutenant Ollard was steering the launch and his course was to clear the stone jetty between 50 to 100 yards and his speed was 10-knots. Interrupting, the Coroner warned the witness that he was not obliged to answer any further questions which might incriminate him. Lieutenant Ollard replied he had no objection to any questions put to him. Continuing he stated that he had passed the sewage buoy, bearing east about 75 yards from the end of the pier. He then noticed a small rowing boat about 150 yards away and altered his course to leave the boat on his port side, as he thought it inadvisable to pass between it and the pier. The rowing boat began to move more quickly and if it continued on its course a collision might occur. When about 50 yards away from the rowing boat he sounded the launch's hooter, and changed his helm from starboard to port but the small boat got under his bow. Ollard was of the opinion that if the small boat had stopped rowing they would have missed her. Instead the launch hit the boat amidships at an angle of 90-degrees slicing it apart. When it became apparent to him that a collision was unavoidable he had put engine room telegraph to 'Stop' then 'Full Astern'. The engine stopped as they hit the boat. Four men were thrown into the water and he threw lifebuoys over the side. He saw one man in the water guide another man to a lifebuoy and both of them were helped aboard the launch. The third man (Wallis) got hold of another lifebuoy and the fourth man (Mills) was swimming towards him. A small dinghy was approaching them and the fourth man then appeared to sink below the water. Two more small boats arrived and helped the man with the lifebuoy. He presumed they had pulled him (Wallis) and the other man (Mills) out of the water. As there was no more that he could do Lieutenant Ollard proceeded on up the harbour as the two rescued men he had aboard might have required medical help. He did not realise the fourth man (Mills) was drowning otherwise he would have made an attempt to rescue him. Questioned by the foreman of the jury as to why he did not keep a look-out in the bow he replied that the crewman's station was by the side of the wheelhouse. It was this man who had run forward to the bow and shouted out the warning of collision. As regards his speed, the rule was that he had to slow down when he got further up the harbour. He had tried to avoid the collision and was aware he did not steer the correct course. Not knowing what the rowing boat was going to do he thought it would stop and let him pass by but the men in the boat had kept rowing. Evidence given by Leading Seaman William Gibson, the man who was in the bow of the launch corroborated most of the evidence given by Lieutenant Ollard. Three young boys who were in the dinghy stated, that they had desperately tried to rescue the deceased but were unable to reach him in time. Mr James Cook, a local boatman of Westham had recovered the body of the deceased from the water 100 yards from the end of the stone pier. Henry Charles Mills was born at Marylebone, London in 1899 the son of Henry, a taxi driver and Henrietta Mills. Henry Charles was one of five surviving children and in 1911 they were residing at 59 Halford Road, Fulham. Lilian Mills, the deceased wife spoke during the inquest and told the Coroner that her husband was aged 19 years. They lived at 26 St Thomas Road, Fulham and before joining the army, Henry had been employed as a clerk in a warehouse. In summing up the evidence given by the witnesses the Coroner told the jury that they had to decide if negligence had contributed towards the accident. He emphasised it had to be specific of either that launch was moving too fast, not keeping a proper lookout or failing to keep proper control of the launch. After considering the evidence the jury unanimously returned a verdict that Mills was accidentally drowned, but the launch at the time of the collision was undermanned and driven at excessive speed. They requested that their deliberations should be brought to the attention of the Admiral in charge at Portland. They attached no blame to Mr Wallis. The Admiralty Law Agent gave the Coroner an assurance that he would report the findings of the inquest to the naval authorities. A verdict of "accidental death" was then returned by the jury on the drowning of Henry Mills. 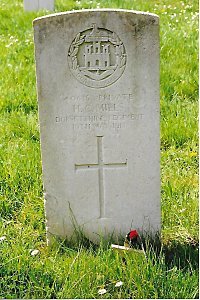 After the inquest Private Henry Mills was buried during the afternoon of the 3rd May with full military honours in Melcombe Regis Cemetery. Grave Location: Section II, Row C, No.3077. The regiment provided a band and firing party. Among the mourners were the widow Lilian Mills, Lucy Mills grandmother of the deceased, Mr Wallis, Major Newcastle representing the Garrison Commander and a party of soldiers and sailors. The Reverend W. Sorsbie, senior chaplain, conducted the funeral church service and committal at the graveside. The 3rd Battalion, Dorset Regiment recruited and trained men and officers for reinforcement drafts. Originally titled the Dorset Militia until 1907 when Army reorganisations by Lord Haldane were implemented. Unfortunately as The History of the Dorsetshire Regiment 1914-1919 relates the records of the 3rd Battalion were lost. [Source: Southern Times ~ Saturday, 8th June 1918.